Your notification will automatically go out once an appointment is confirmed. Go to the appointment that you want to confirm. This can be done by the email notification or by going to the scheduler and viewing upcoming or past appointments. When viewing the appointment, you will the option to mark the appointment as confirmed. 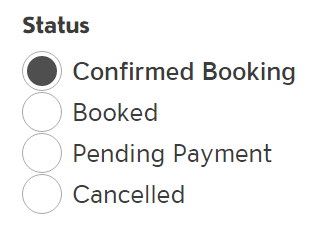 Click Confirmed Booking and hit update booking. The person who booked the appointment will now receive the push notification you setup.